GeoEngineers works within many complex ecosystems, where understanding the influence of each species on the overall picture is often key. Sometimes a single species can make dramatic contributions on the overall health of our natural resources. These important species are often called “ecosystem architects.” Their presence or absence often dictates whether the ecosystem functions as expected or completely shifts to something altogether different. Often, the health of nearshore or estuarine environments rests on just one such species—eelgrass. Algae and micro-invertebrates make their homes in eelgrass substrate and in turn support larger shellfish and fish. Eelgrass is the cornerstone of estuarine and coastal marine ecosystems up and down most of both coasts of the United states, and Europe. This flowering plant grows in dense beds with long, thin shoots that create excellent habitat for a host of marine life. Algae and micro-invertebrates make their homes in eelgrass substrate and in turn support larger shellfish and fish. 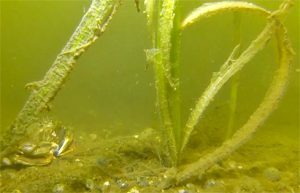 Eelgrass beds stabilize and even collect nutrient-rich sediment by slowing water movement with their extensive root system. Readily available food sources and the protection of dense vegetation make eelgrass beds a perfect nursery for young fish, including salmon species critical to the environmental and economic health of the Pacific Northwest. Unfortunately, eelgrass beds are vulnerable to impacts from human activity. Because it grows in shallow marine environments and collects sediment, eelgrass is often threatened by boat activity, untreated stormwater runoff and anything else that reduces water quality or clarity. It is the proverbial “canary in the coal mine” for nearshore ecosystems. To help preserve this key species, state and federal agencies have instituted a variety of regulations that apply to developers and property owners. These regulatory mechanisms are complex, overlapping, and constantly evolving. Fortunately, GeoEngineers’ ecologists are here to help. Eelgrass protection began on the West Coast, where its known to be critically important to the health of large fishing industries. California, Oregon and Washington all have state-specific regulations and guidelines, but in recent years federal agencies like the United States Army Corps of Engineers (USACE) have instituted their own guidelines, creating another layer of regulation. All seek to protect the species and associated habitats, but often have competing directives on how to determine occurrence, define habitat function, and prescribe the proper approach to restoration. 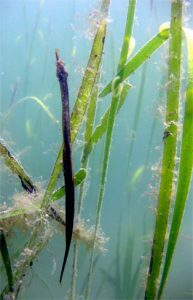 The Pacific Fishery Management Council has also classified several species of eelgrass as Habitat Areas of Particular Concern (HAPC) which further elevates the importance of eelgrass habitat while complicating habitat analysis during regulatory coordination. Like other important species, eelgrass habitat often falls under state purview since the relative importance of that habitat is defined by a regional context. The new layer of federal oversite has muddled that process somewhat. The intent is to establish a minimum set of standards for evaluating project impacts, but in reality it creates an added layer of complexity during the permitting process—especially when agencies may have competing wants and needs in satisfying their regulatory requirements. Eelgrass collects nutrient-rich sediment, but shore runoff and other human impacts can affect this sensitive system. Essentially, you are required to survey for eelgrass if you are touching or shading the nearshore with your proposed project. These surveys also have strict rules (both state and federal) for accuracy timing. Surveys are often only applicable for one growing season, so project delays can mean redoing surveys. If a project unavoidably impacts eelgrass habitat, mitigation actions are required. Strategies like transplanting are often expensive to implement and require large monitoring efforts with no guarantee of success. This applies to all water bodies that contain eelgrass ranging from the Puget Sound to the Chesapeake Bay. This is important for our clients to think about when hiring us for other services such as our marine geotechnical or environmental cleanup. An eelgrass survey will likely be required. This is where GeoEngineers can assist. As new guidance continues to be refined, GeoEngineers sits at the forefront of navigating through this process. Our marine biologists and permitters have extensive experience interpreting and implementing eelgrass regulatory guidance, while providing innovative solutions for eelgrass mapping, restoration and mitigation. 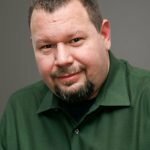 We have worked with both state and federal regulatory agencies in developing new techniques as well as providing practical feedback on their rules and regulations. Eelgrass is a very important habitat and worth protecting for its ecological and economic value to a region. It is hard to blame regulators for being conservative in their management of such a valuable resource. Our job is to sit at the intersection of environmental protection and sustainable development of our nearshore. Should eelgrass come up as an issue with your project, feel free to contact us. 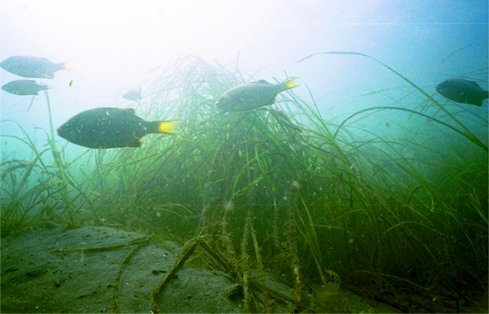 Eelgrass beds are an important habitat for fish and other marine species.